Henry Aristide ‘Red’ Boucher was the kind of man for whom the Alaska myth was invented – no problem was unsolvable, no issue too tough, no limits impassable. The Red Boucher Scholarship supports outstanding Alaskans pursuing careers in technology education and/or training. The deadline to apply is 9 p.m. on February 7, 2014. In 1958, after campaigning for an up and coming politician (John F. Kennedy) Henry Aristide “Red” Boucher headed to Alaska. After 20 years of Naval service and a high school equivalency diploma, Alaska must have seemed like the next great adventure. Red opened a sporting goods store and a few years later, began his career as a public servant with the Fairbanks city council. He would go on to be mayor of Fairbanks, lieutenant governor under Governor Egan, a representative in the state House and later in life, elected to the Anchorage Assembly. An early adopter of telecommunications, Red envisioned a future where technology connected us. He bought the first iteration of the Apple computer and became engrossed with its ability to communicate. He would become known in the field of telecommunications for his ardent passion for bringing Internet to rural Alaska. He is recognized at the state and national level as one of the pioneers of the Information Age and as an authority on the subject of computer-mediated communication. In honor of Red, the Red Boucher Scholarship supports outstanding Alaskans pursuing careers in technology education and/or training. The deadline to apply is 9 p.m. on February 7, 2014. Requirements: Applicants must be enrolled or accepted for full-time study and must submit three letters of recommendation, transcript, 150 word essay, and proof of enrollment. Eligible for college freshman, sophomore, junior, and senior. First Alaskans Institute (FAI) announces its 2014 Summer Internship Program to place Alaska Native/American Indian and rural undergraduate and graduate students into organizations around Alaska to provide real-world leadership development experience. This program is one-of-a-kind in its mission to grow the next generation of Native leadership through a unique curriculum revolving around Native knowledge, while providing hands-on experiential learning in multiple career fields relevant to each intern’s pursuits and employer’s interests. This paid internship is 10 weeks in length, from early June to mid-August. Interns are expected to complete the entire 10-week session, working a full time schedule. Internship placements are available throughout Alaska, and interns will get matched with an employer partner based on the placement preferences of both the intern and employer. Interns are expected to secure their own housing/accommodations for the program. Interns will unite for five-days of leadership development sessions both at the beginning and end of the internship. Interns will also be provided with leadership development training every other Friday during the summer program. Over the past decade, the program has placed 241 interns in over 100 different partner organizations in 26 communities statewide. In order to apply, students must be currently enrolled in a higher education institution, or have graduated from a higher education institution within the previous school year. High school students are not eligible. Please see applications below to apply! Click HERE for a more thorough presentation of information related to the program. Click HERE for a program flyer to distribute. For your information: The recruitment for the Vice Chancellor, Rural, Community, and Native Education has been posted to UAKjobs – the university’s human resources website. In this talk, UAF International Arctic Research Center reports on interdisciplinary film project involving a hydrologist, a linguist, and a media designer to document the ways in which water has shaped and continues to shape the way of life for the Tetlin People. See flyer below. Contact svfilhol@alaska.edu for more information. Doyon Foundation is pleased to announce that it has awarded a total of $211,800 in scholarships to 258 students for the spring 2014 semester. The scholarships include 175 $800 scholarships to full-time students, 57 $400 scholarships to part-time students, and 26 competitive scholarships ranging from $2,000 – $7,000. 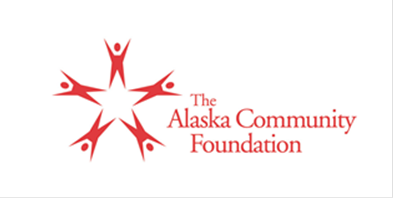 In addition to the full-time, part-time and competitive scholarships, the Foundation also offers short-term vocational scholarships, advanced college credit scholarships to high school students taking college courses, and scholarships for students to attend the Law Enforcement Academy at the University of Alaska Fairbanks. The Foundation accepts applications three times per year; the next deadlines are March 15 to apply for basic scholarships for the summer semester, and April 15 to apply for basic and competitive scholarships for the fall 2014 semester. To qualify for a Doyon Foundation scholarship, applicants must be enrolled to Doyon, Limited or be the child of an original enrollee; be accepted to an accredited college, university, technical or vocational school; and maintain a minimum GPA. Details on scholarship types, eligibility and application instructions are included in the scholarship brochure available on the Foundation website. For more information on Doyon Foundation scholarships, please visit www.doyonfoundation.com or contact Maurine Isaacson, scholarship program manager, at 907.459.2049 or isaacsonm@doyon.com. Winners of the Hamilton Award are automatically enrolled in the Hamilton Leaders Academy where they join a distinguished cohort of peers from across the US who learn from one another and grow together as they take steps towards a college education. Enrollment in the Hamilton Leaders Academy also includes the following: a $500 cash scholarship; an autographed copy of Richard Brookhiser’s Alexander Hamilton, American; an autographed copy of William Chrystal’s Hamilton by the Slice; proclamation signed by Doug Hamilton the fifth great-grandson of Alexander Hamilton; a Hamilton pin courtesy of the Hamilton family and letters of congratulations. Bio-sketches of winners appear on this website, and news releases are sent to city, state, and federal elected officials as well as local newspapers. The purpose of the Hamilton Award is to recognize high school juniors for their academic, personal, service and entrepreneurial achievements and to select students for the Hamilton Leaders Academy.